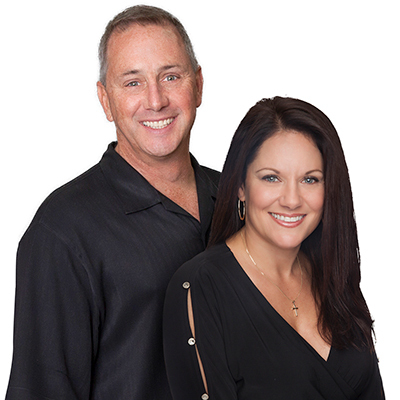 Stan Rector & Renee Rector | Save Your Identity -How to freeze your credit with all three agencies. Save Your Identity -How to freeze your credit with all three agencies. With Equifax’s announcement of its catastrophic security breach, now would be a really good time to consider freezing your credit, if you haven’t already. Credit freezes are one of the most effective ways for consumers to protect themselves against identity theft — and this goes for anyone at any time — regardless of whether you were impacted by this specific breach. And it’s imperative that you freeze your credit with all three main credit reporting agencies: Equifax, Experian, and TransUnion. Below is a quick reference guide on how to put a freeze in place with each bureau, followed by more information on the process, how to thaw your credit and more. Online: Visit this page to freeze your credit with Equifax. Important note: With such high traffic to the website, if you can’t get your request processed, just wait about a week and try again. By phone: 1-888-EXPERIAN (1-888-397-3742). When calling, press 2 and then follow prompts for the security freeze. A credit freeze allows you to seal your credit reports and use a personal identification number (PIN) that only you know and can use to temporarily “thaw” your credit when legitimate applications for credit and services need to be processed. The added layer of security means that thieves can’t establish new credit in your name even if they are able to obtain your personal information. Freezing your credit files has no impact whatsoever on your existing lines of credit, such as credit cards. You can continue to use them as you regularly would even when your credit is frozen. Freezes have been available for free to victims of identity theft for some years, but recently all three of the major credit bureaus adopted new rules that now allow non-victims to have access to credit freezes as well for a small fee. In addition, most states and Puerto Rico have adopted laws establishing credit freezes for residents of their state. Residents of various states may also freeze the credit reports of their minor children. Visit the National Conference of State Legislatures to see what the law is in your state. The cost ranges from about $3 to $10 per person per bureau to freeze a credit report; a couple of states have higher fees. When shouldn’t you freeze your credit? If your credit reports are accessed often for work or because you create new accounts with various financial institutions on a regular basis, it is not recommended that you freeze your accounts. The costs to regularly “thaw” your reports would tend to be excessive. The cost to “thaw” your reports for one creditor — or for a specific period of time — ranges from free to $10. Four states remove your credit freeze automatically after seven years. These states are Kentucky, Nebraska, Pennsylvania and South Dakota. In most states, your credit freeze remains permanently on your files until you request removal. But not so in the states listed above, according to the Consumers Union’s guide to security freeze protection. If you’re a resident of one of these states, pay close attention. You’ll need to set some kind of calendar reminder for seven years from the date of placement. That will serve as a reminder to refresh your credit freeze status before it drops off your radar completely and you go months or years without this key protection against identity theft! Below you’ll find directions and links to assist you in obtaining your credit freeze or thaw from each major bureau. Credit freezes may be done online or by certified mail – return receipt requested. Check your state’s listing for the exact cost of your credit freeze and to see if there is a reduction in cost if you are a senior citizen. Request your credit freeze by certified mail using this sample letter. Please note the attachments you must include. If your PIN is late arriving, call 1-888-298-0045. They will ask you for some ID and arrange for your PIN to be sent to you in 4-7 days. Unfreeze: Do a temporary thaw of your Equifax credit freeze by snail mail, online or by calling 1-800-685-1111 (N.Y. residents dial 1-800-349-9960). Info on freezing a child’s credit with Equifax can be found here. Credit freezes may be done online; by certified mail – return receipt requested; or by calling 1-888-EXPERIAN (1-888-397-3742). When calling, press 2 then follow prompts for security freeze. You can also freeze a child’s credit report. The information contained at this link is applicable for all three credit bureaus. You must first write a letter to each bureau to learn if your minor child has a credit report and if so, then you can proceed to freeze it. Unfreeze: Do a temporary thaw of your Experian credit freeze online or by calling 1-888-397-3742. Info on freezing a child’s credit with Experian can be found here. Credit freezes may be done online, by phone (1-888-909-8872) or by certified mail – return receipt requested. Unfreeze: Do a temporary thaw of your TransUnion credit freeze online or by calling 1-888-909-8872. Info on freezing a child’s credit with TransUnion can be found here. I would like to place a security freeze on my credit report.